There is something about the change of season that makes me want to change my hair color. 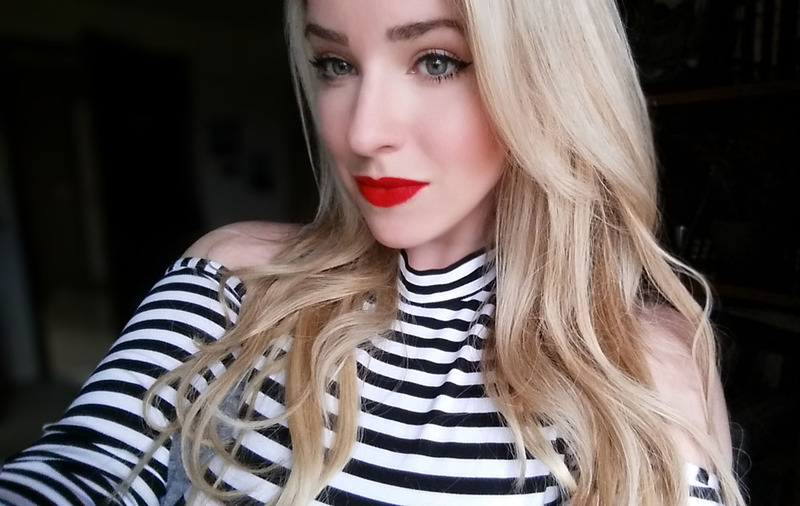 I have been blonde for years, but lately I have been enjoying switching up the shades of blonde I choose. Going darker and ashy in the Fall and brightening up to a sun kissed blonde for Summer. I don't always have the time or funds to hit the salon whenever I feel the winds of change. Luckily for us hair color chameleons, Schwarzkopf has now made it easier than ever to change your hair color right at home! 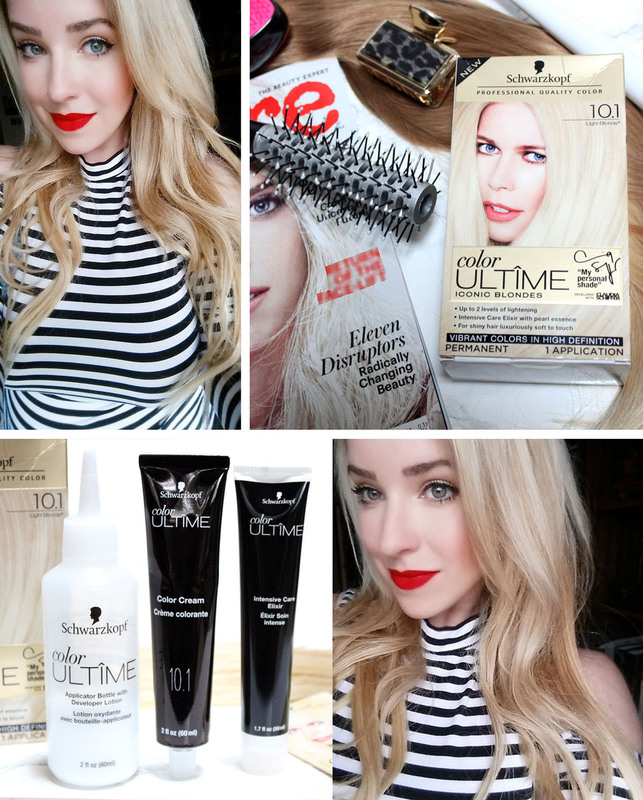 Whether you want to amp up your own color a notch or make a dramatic change, Schwarzkopf Color Ultime has you covered. 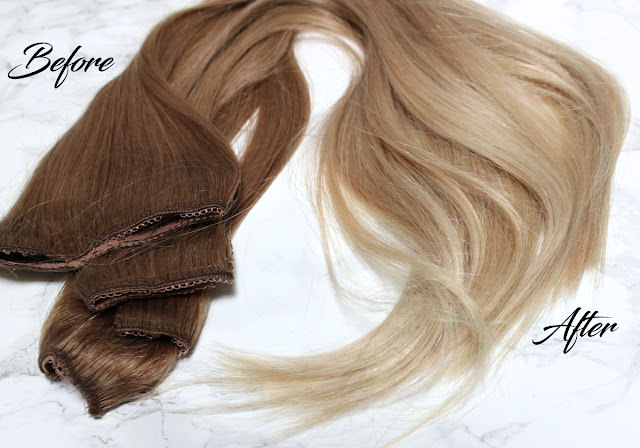 With vibrant, fashion shades you are sure to get a "true to the box" color result with long lasting color and shine. 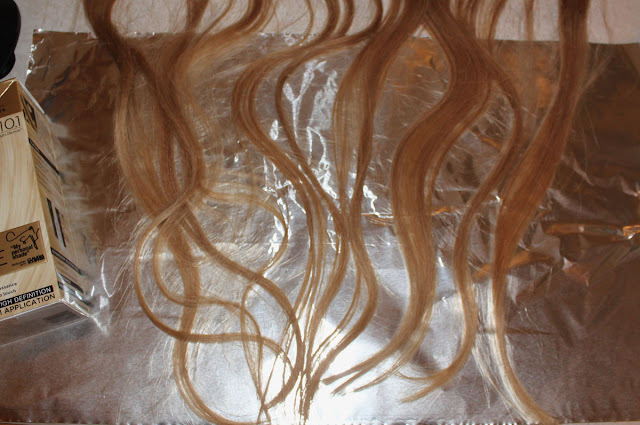 It's professional quality hair color at home that is easy to use and produces beautiful color results that last! The ombre hair color trend is one that I have always wanted to try. I just wasn't sure if I wanted to take the plunge permanently. To ease myself in to the idea I thought it would be fun to try out an ombre effect with my hair extensions. It's a non-committal way to see how your hair will look before making a major hair color decision. 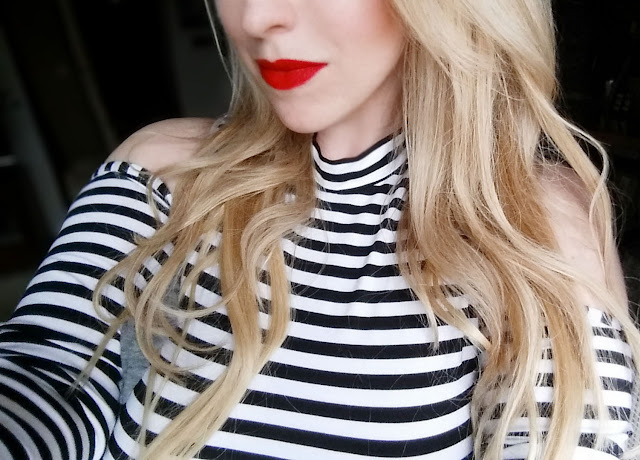 If you are like me and need a little coaxing in to a new look check out my tutorial! 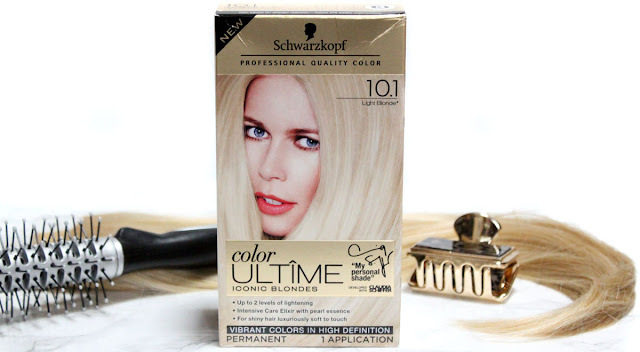 To get started on my DIY at home ombre hair color I picked up the Schwarzkopf Color Ultime Hair Coloring Kit, Light Blonde 10.1. This vibrant light blonde shade was developed with Claudia Shiffer. The formulation combines her beauty insights from catwalk shows and fashion shoots with the expertise of Schwarzkopf. It's her signature iconic blonde shade! 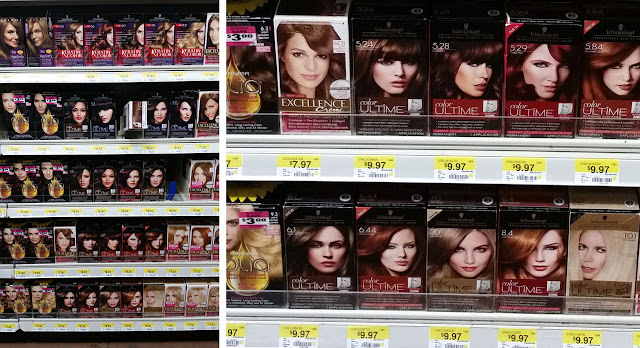 You can find your perfect shade of Schwarzkopf Color Ultime Hair Color at your local Walmart in the hair care aisle. 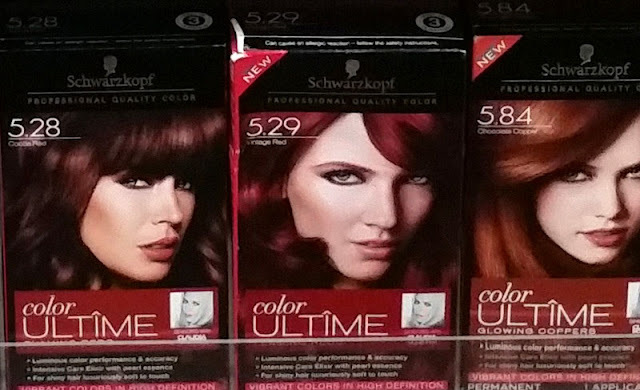 There are many beautiful shades in the Schwarzkopf Color Ultime Hair Color line. If you are a brunette, a red ombre using Vintage Red 5.29 would look stunning! On the box you will see which shade is suitable for your natural hair color and the lightening results that can be achieved. 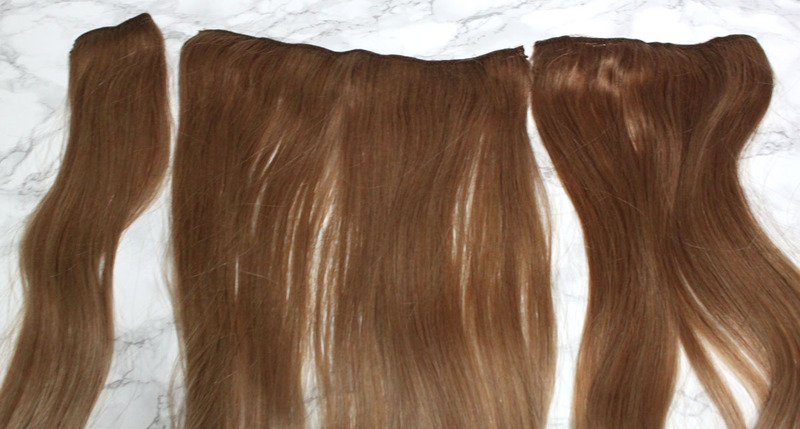 Make sure that you are using fine quality human hair extensions that can be dyed. They should match the base shade of your natural hair color. I have medium blonde hair and wanted my ombre to look soft, natural, and sun kissed at the ends. It has been quite awhile since I have done my own hair coloring, but it was super easy to do. The directions on the box were easy to follow and it even includes pictures. I added the lightening color cream to the developer that was already in the provided bottle. Shake the bottle vigorously until components are thoroughly mixed and turned in to a smooth cream. Lay dry extensions evenly out over a bed of hair foil. You will want to put on the provided gloves if you are applying the color directly from the bottle. I transferred it in to a bowl to use with a brush so that I could paint on the color. 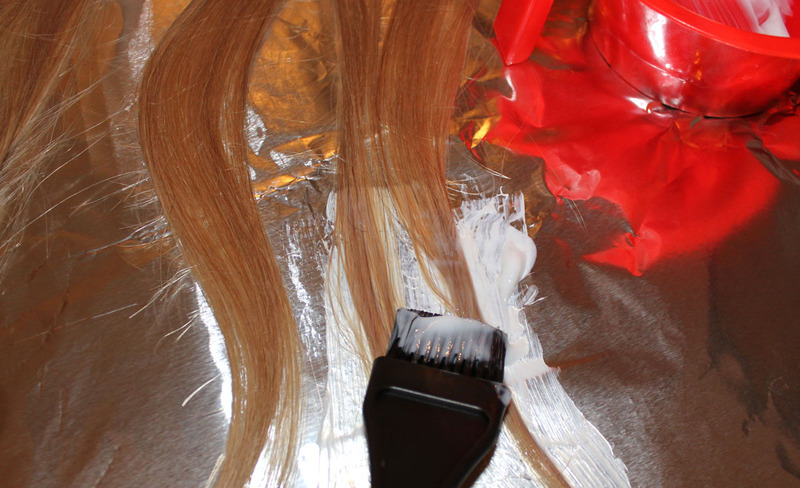 With a hair color brush, paint the hair color on to just the bottom ends of your extensions. How far up you want the ombre to go is up to you, I went with around 4-6 inches. 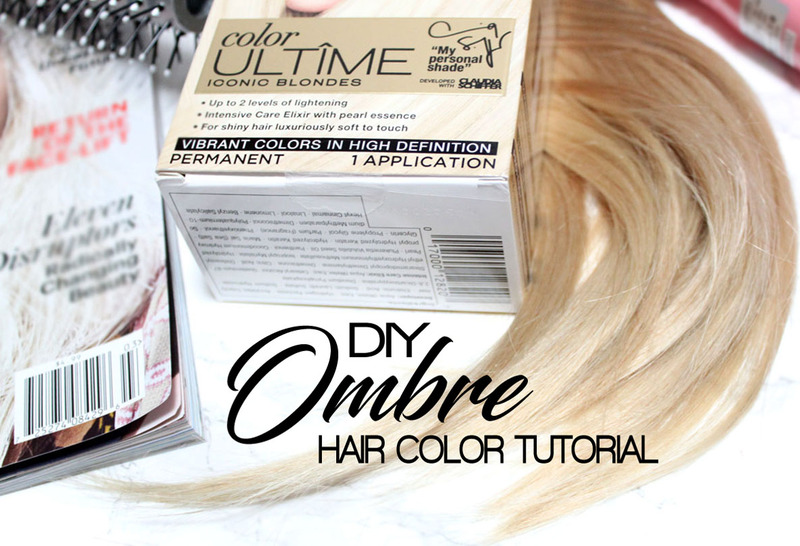 Lightly blend soft streaks of color with the brush as you work your way up the hair. Similar to a bayalage technique. The color should gradually fade with out any demarcation between them. Let process for 45 minutes. After rinsing I applied the Intensive Care Elixir with pearl essence. Pearl essence is blended with rich omega oil for hair that is luxuriously soft to the touch. I wish I could use this as my everyday conditioner! All that was left to do is attach the extensions and our newly ombre'd hair is complete. Those days of dry, brassy blonde from old school box dyes are gone. Just as the box suggested it lightened up to 2 levels for a runway ready blonde. Schwarzkopf Color Ultime Hair Color in Light Blonde is beautiful! I am amazed that I can get a fresh from the salon looking color right at home. It's bright, shiny, and full of shimmering reflexes. I loved how well this shade of blonde blended in with my own hair color. What shade of Schwarzkopf Color Ultime Hair Color would you choose? Do you change your hair color by season?